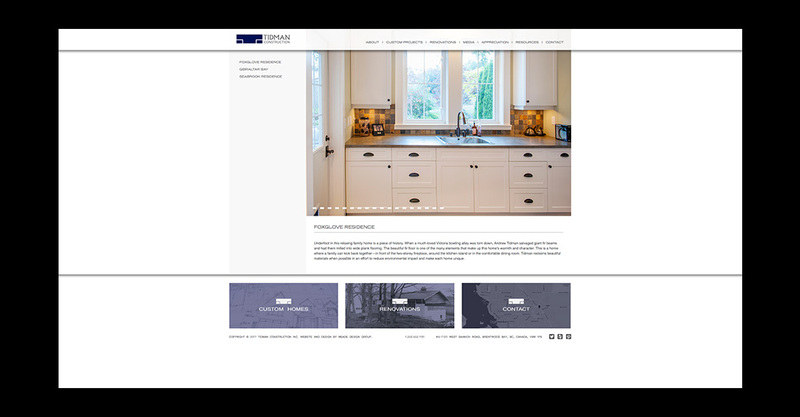 65 years young and third generation family business, Tidman Construction was in need of an updated website. 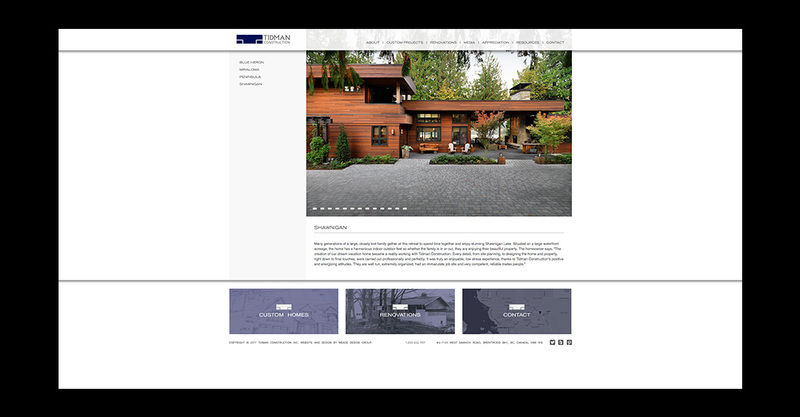 Meade Design Group made use of a CMS via WordPress which makes real-time updates super easy for their staff. These great new features have also made the website responsive, meaning that it looks just as great on smart phones, tablets and small screens as it does on larger screens. Tidman construction wanted something that would reflect the timeless quality of their work. The design is clean yet classic and very easy to navigate with subtle branding throughout.